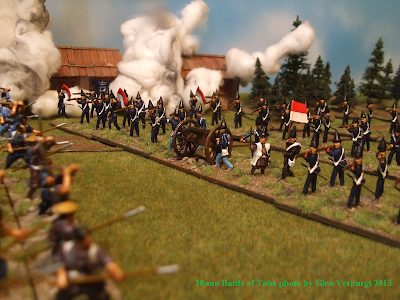 This Scenario is based upon a variant of Neil Thomas Wargaming Nineteenth Century rules the game was run as a Demo game at the Brisbane Muster 2012. you will need a copy of Nineteenth Century rules. counterparts, even if they have fewer bases . SCENARIO RULES: (1) How to Win. Both objectives must be controlled by the end of Game Turn 10. (a Game Turn consists of two player turns; one for the Attacker and one for the Defender). Step 2 - Get a pencil sharpener & some plastic rode & sharpen the new hat to shape. Step 3 - I pined & glued the new hat on. Step 4 - The Samurai sword was a cut down pin. on the feg I cut the bag down onn the front to make the holder for the Samurai sword I drilled a small hole for the Samurai sword to go in to.